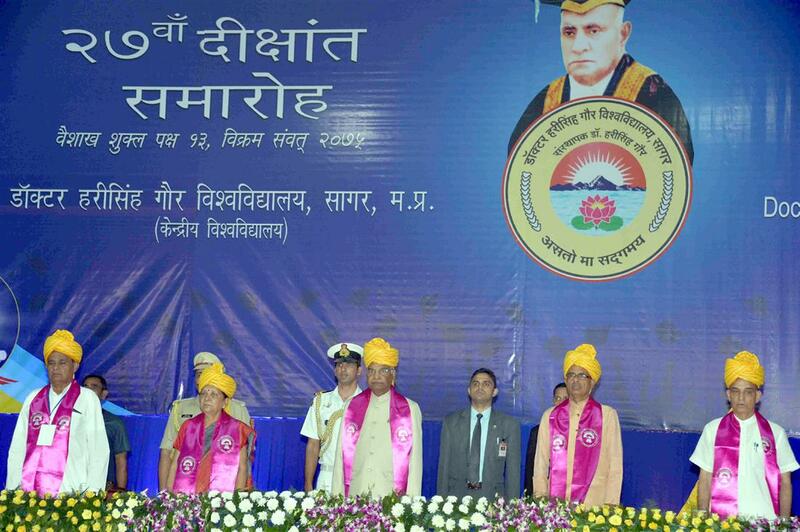 Bhopal: The President of India, Shri Ram Nath Kovind, graced and addressed the 27th convocation of the Dr Harisingh Gour Vishwavidyalaya, Sagar, Madhya Pradesh today (April 28, 2018). Addressing the gathering, the President said the Dr Harisingh Gour Vishwavidyalaya is an important centre for higher education in Madhya Pradesh and particularly in the Bundelkhand region. Due to a large presence of SCs and STs in this region, the role of the University in building capacities in society and contributing to development becomes even more important. The President said he saw the University as a source of social and economic empowerment. The President said education was not merely a mechanism to gain knowledge and employment. 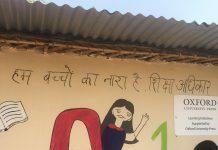 Education also makes a person self-reliant and enhances the individual’s capacities. This helps an educated person in creating opportunities for others, and to become a job provider instead of a job seeker. In this context, he was happy to note that an Entrepreneurship Cell has been set up at the Dr Harisingh Gour Vishwavidyala. It is assisting students to transform ideas into business ventures. He appreciated the University’s efforts in promoting modern techniques to increase mushroom production in nearby villages. Later in the day, the President graced the Satguru Kabir Saheb Mahotsav in Sagar. It has been organised to commemorate the 620th Pragatosav of Satguru Kabir. Speaking on the occasion, the President said that in the times of Sant Kabir the voice of the underprivileged and of the weaker sections was not adequately heard. In such a backdrop, Sant Kabir spread the message of humanity and equality, and gave voice to the voiceless.